Valentines Day is fast approaching and over the past few years - since Children, it's been one of those 'take it or leave it' kind of holidays. We'll do cards, and a little something. But I don't generally get excited or thrilled about it, John doesn't book a day off and we rarely actually do anything different to what we would be doing on any other day. This year though, I'm trying to change that. Not for me and John but for our boys. Valentines Day is a day to celebrate love, given the fact our sons are the complete loves of our lives it seems silly not to really take advantage of a day to show them that. I know stereo-typically Valentines is more designed at couples but who says you can't stretch it to your little ones? I sent a quick ask out amongst some of my Twitter followers to see what everyone had planned this year, and I wasn't really shocked to find no one seemed to have any plans. Given that around 70% of my following are fellow parents, it seems a lot more understandable - we just don't have the resources, time or money sometimes, to spend an evening out painting the town red. 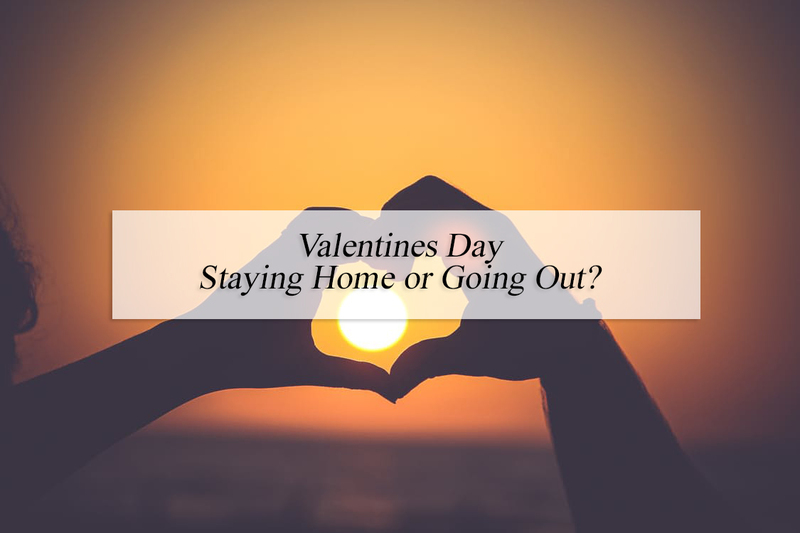 Festive Lights conducted a survey and found that 63% would rather stay in now than venture out on the day of love. In all honesty, I can't blame them, we will probably be the same. Though just because we'll be staying in doesn't mean that we can't do our best to make the day as special and loving as possible. Want to know my plans? Well, as you guys know since Christmas, I love a good occasional hamper. So of course I shall be doing a Valentines box for them, it wont be half as extravagant as their Christmas Eve box but it's a little something just to say 'I love you, and today I'm showing it'. I wont give too much away with what is inside because you'll see a whole other post on that but I'm sure it will get us all off to a good start. I might add that we wont be celebrating Valentines until the weekend after it's passed, as John works during the week and he would miss out on too much. We can't have him missing out on all the cheesiness right? ;) For John his gifts will be the same, nothing over the top but a few little things to show I care along with his card. Activity wise I really want to do some Valentines Baking, my goal this week is to Pinterest my life away and find some really cool and really easy recipes to create something for us all to nibble on. Crafting shall follow a similar order, I need to sift out the resources and a do-able Pinterest design that won't be migraine and tantrum inducing, we don't need anything testing a day of love like a threenager strop because the scissors wont cut properly. As for the evening and tea time, like the 63% surveyed, we won't be venturing out but we shall be bringing a bit of outdoors in as I plan to create us an indoor picnic. Noah loves having picnics but with it being February it's just not going to happen - or so he thinks. We've got a beautiful picnic hamper from Savisto Home and I cannot wait to get it out and really jazz up the living room as much as I can in the thirty minutes I'll ban the boys with Daddy for. Once the boys are all tucked up into bed, me and John will have *hopefully* agreed on a pre-picked film (John if you're watching this it shall NOT be anything sci-fi) and snuggle down on the sofa with some snacks and bubbles. Just because we aren't heading out that door doesn't mean we can't make memories, in fact I bet I'll be glad looking back that we did stay home and do it our way instead. What are your plans for Valentines Day? Do you stay in, or are you out? We'll be staying in. We don't really do anything for valentines as it's so close to our anniversary, but I do think maybe we should put more effort in for Henry!